In my late teens I was a member of a Junior Farmers Club, pretty much the equivalent of the 4H Clubs in the US and Young Farmers in the UK. Years later the Junior Farmers Club was renamed Rural Youth Club but the educational principles remained the same - learning by doing, teaching young people about agriculture. Surprisingly there were several very active clubs around Sydney, catering to young suburban Australians who loved the land, many of whom later became farmers or worked in some agricultural occupation. I lived on my family's flower farm, and belonged to Epping Junior Farmers Club. Educationally I learned to cook and sew, to change a tyre, debate, chair a meeting, judge cakes and cattle, and my major interest was economic entomology. Socially we built amazing exhibits at agricultural shows, went to show camps, conferences, dances and balls, and along the way learned excellent values and social graces. Lots of us married fellow members. It was a fabulous organization. 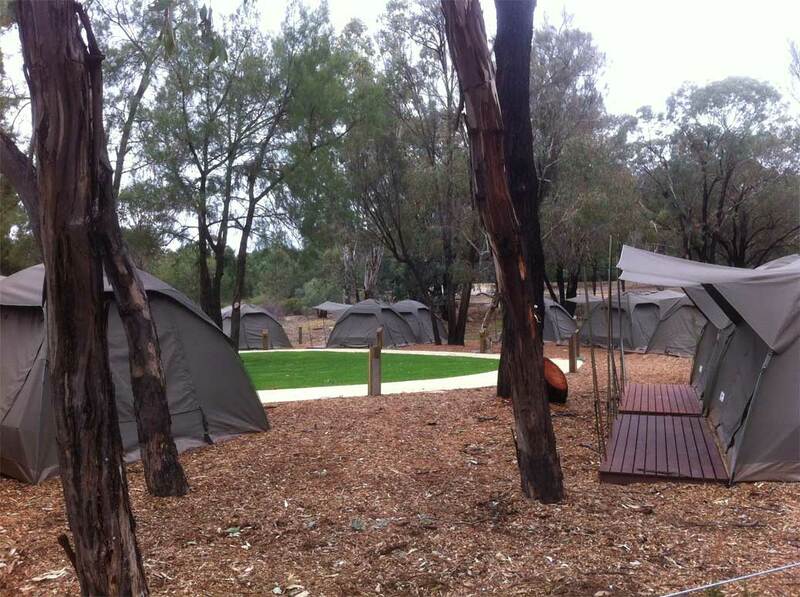 Last weekend I went to Dubbo to a reunion of 200 Junior Farmers and Rural Youth members. What a great occasion! Luckily we all had large-print name tags so there was no problem recognizing friends perhaps not seen for 30 or 40 years. The years fell away as we hugged and laughed and shared reminiscences. After an excellent dinner and a quite late night about 80 of us fronted up in the rain for a most generous breakfast out at the showground. It was sad to say goodbye but email addresses were shared and photos will be passed around. 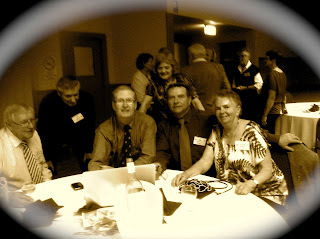 This is just one photo, of old and loved friends. 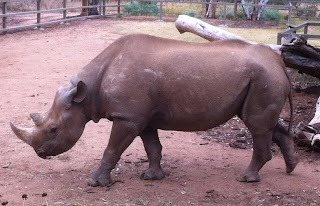 One 'must see' in Dubbo is Taronga Western Plains Zoo so a few hours were spent (just before the rain set in) wandering along bush paths to see the animals. 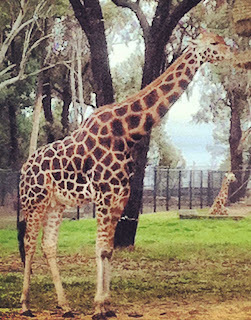 Taronga is a no-cage zoo so is set out in large paddocks of grass and trees and moats, a great way to see the animals. There are some carnivores but mostly herbivorous animals. I was at the Dubbo Farmers' Market, where like all such markets there were many dogs on leads, when a man ambled past with a most magnificent Dingo in tow. The Dingo was very alert, ears and nose sussing out the surroundings, and apparently he is a frequent visitor to the markets. The Dingo is not a domesticated dog so seeing one as a pet is quite rare, but this one was obviously considered trustworthy to be in the company of other dogs. I felt privileged to be in the same company as the Dingo, much as I did when I met a Wolf in the US. I've just received a parcel from Gracia & Louise, some brass rods I bought from them, and as are all parcels they send out, it was almost too beautiful to unwrap. Not only were the rods (very exciting stuff) carefully packed, but there was a note on one of their lovely cards, and included one of Gracia's zines. This one is 'Johannesburg to Genova' / 'Genova to Johannesburg', featuring collages from the artists' books 'In search of a time the heart does not recall' and 'Before all colour faded'. Thank you Gracia and Louise. I think winter is finally here. I've dragged out the oil heater and put a wool underlay on my bed. The children are in winter uniforms for school and the dogs are wrestling for the warmest spots in the house. 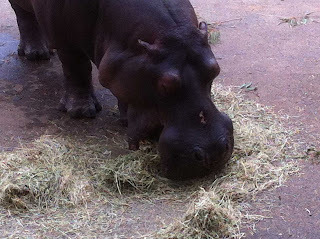 My thoughts are with all those in European floods and especially the 1000 animals moved to safety in the Prague Zoo. Did you see them carrying tigers on blankets? Between tornadoes, floods, war, drought and all the other disasters that feature on our nightly news I am mightily thankful for my peaceful life and never take it for granted. I lived in the Central West for a number of years - and miss it still. Loved this positive, heart-warming post (and Dubbo Zoo too). The allegedly Chinese curse 'may you live in interesting times' makes a lot of sense to me. I am grateful to lead a life which is (usually) on the dull side. EC, I sometimes miss the Central West but I seem to be able to move on fairly easily. Now I'm loving the Central Coast. 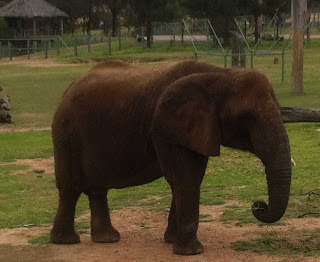 I hadn't been to the zoo for many years and was impressed with the layout and the size. And I fell in love with the Sumatran Tigers, though if it wasn't for the breeding programme, and the fact that they are so endangered in the wild, I'd rather they weren't in captivity. How lovely to see old friends and what an exciting trip. Mig, it was really lovely but I have to say that I think your trips are far more exciting. 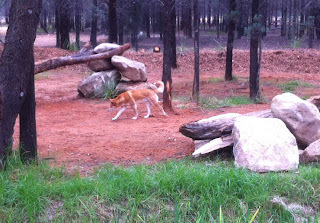 Was the dingo originally in Australia? Or was it transported there early on and then got wild? And tigers on blankets? Hm. At least they can swim. Just watched a children's parade that featured one woman in a car with a tiger kitty in her lap. It seemed wrong, wrong, wrong. No explanation given. Murr, although called Australia's wild dog, the Dingo probably was introduced to this country about 4000 years ago from Asia. It is a south Asian variety of Grey Wolf (Canis lupus lupus). I assume it was domesticated in Asia as I can't imagine bringing a wild wolf over in a small boat. Shades of Pi! When I saw the tigers being moved to safety from the Prague flood I realised that they were also strapped down, and I guess, unconscious. I agree about the tiger kit on the woman's lap. Wrong! Even if the woman was raising an orphaned tiger for the best of reasons, I hardly think a parade was a suitable place for for a tiger kitty.